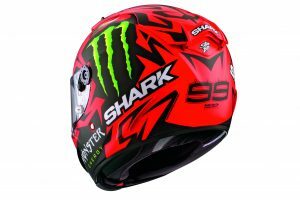 Following the success of its Jorge Lorenzo White SHARK replica last year, SHARK Helmets has released a limited-edition run of the distinctive design worn by the three-time MotoGP world champion at the 2017 Austrian GP. The Race-R PRO Replica Lorenzo Austrian GP MAT helmet features an aggressive red and black devil-inspired design and joins SHARK Helmet’s already extensive line of racing replicas. There are just 1,500 available worldwide and each helmet comes in an exclusive red and black premium box, which also contains a matching helmet dust cover, a “Dark Smoke” tinted anti-scratch/anti-fog visor, a pair of Skull Rider ‘JL99’ sunglasses and sponsor stickers. A limited number are available in UK dealers now, with an RRP of £649.99. 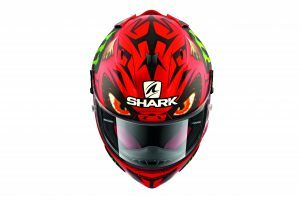 The Race-R PRO is a high-end integral helmet that reflects all of SHARK’s expertise, from design through to manufacturing. 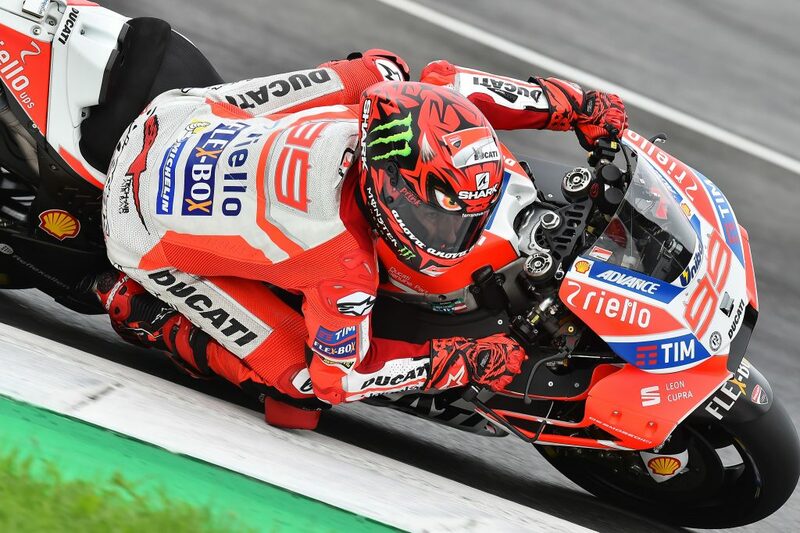 It has been developed in conjunction with the brand’s professional riders to meet the demands of top level racing competition: it is lightweight, stable, comfortable, and aerodynamic. Constructed from carbon aramid fibre, the Race-R PRO weighs just 1,250g* while providing outstanding shock absorbance. It comes fitted with a flat class 1 optics visor eliminating all visual distortion thanks to a variable thickness: 2.8 mm on the sides, 4.2 mm over the central part. Equipped with a double “D” buckle, the model also features an enhanced visor mechanism with a quick notching and disassembly system for extreme ease of handling. 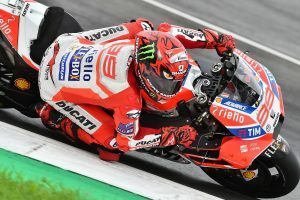 Tested in a wind tunnel in order to guarantee aerodynamic and stable behavior at high speed, it has been built with a double rear spoiler and 4 ventilation points to ensure an optimized venturi effect. An anti-fog breath guard and nose cover complete the Race-R PRO product panoply. As for comfort, the helmet offers an entirely removable and washable interior lining, specially designed for optimal acoustic insulation. Note the presence of the “Easy Fit” system simplifying for riders wearing glasses the placement of temples. The Race-R PRO helmet has compiled an impressive record in world-level racing championships, with nearly 200 top finishes since 2011**. To locate your nearest dealer, visit www.nevis.uk.com or call 01425 478936. ** In-house design produced on the Grand Prix MotoGP, Moto2, Moto3 & WSBK, WSSP models between 2012 and 2016.